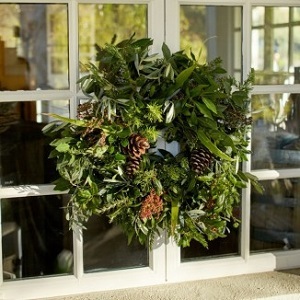 Bring the beauty of nature to your front door with our Wreath Making workshop. So popular last year, we had to expand to two workshops. Two sessions are available – morning or afternoon. Using seasonal greenery and other floral elements from the Ranch, we will walk through the process of creating wreaths and swags that can be used for your front door, as a joyous accent to a room, to decorate your entertaining tables, or to provide as a very special gift. During this hands-on workshop, they will also provide tips on items that can be collected during the year to make your holiday wreath unique as well as rotate seasonally. No experience required. Hands-on instruction and all materials are included in the fee with the botanical components sourced from McEvoy Ranch. Feel free to extend your stay by indulging in a wine tasting after for an additional $15.